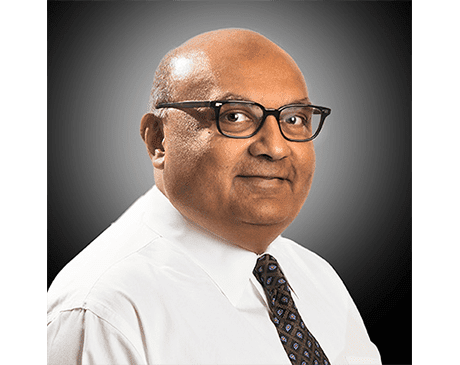 Sanjiv Faldu, MD, FACC is a board-certified cardiologist and esteemed member of the team at Phoenix Heart, which has locations in Glendale, Goodyear, Anthem, Buckeye, and Black Canyon City, Arizona. Dr. Faldu is one of the most sought after cardiologists in the Phoenix area due to his unfailing commitment to patient care. Dr. Faldu studied medicine at the American University of the Caribbean, in Cupecoy, Sint Maarten. After graduation, he left the islands and headed north for a residency in internal medicine at the Raritan Bay Medical Center in Perth Amboy, New Jersey. His achievements and aptitude for leadership there earned him the position of assistant chief resident. Dr. Faldu moved on to a fellowship in cardiology at the Mount Sinai Medical Center in Miami Beach, Florida. Since completing his training, Dr. Faldu has joined the practice at Phoenix Heart, where he has become a valued asset to his colleagues and his community. Dr. Faldu is board-certified in cardiovascular disease by the American Board of Internal Medicine and is a member of the same medical board.